In what ways does the white supremacist violence in Charlottesville matter? Saturday morning I sold a broken down flat-screen TV to a scrap-dealer. Found a dude on Craig’s List who bought and sold dead flat-screens, and who included in his rapid-fire text messages a reference to Paul’s first letter to the Corinthians. He showed up. Never shook my hand. Never made eye-contact, and never acknowledged my wife who also was standing outside. He had on an Infowars T-Shirt. “Ideas are bulletproof,” it read, with the letters imposed over an image of the Constitution. And the stickers on the back window of his truck? A gun, pointed right at me, with the caption “Not This Truck;” a “F–k Cuomo” sticker, with the “f” and the “k” fashioned from the outlines of assault rifles; and a seal for some sort of militia group to which he pledged allegiance (I wish I could remember exactly what it said). I sold a broken down television, in other words, to a guy who loudly proclaimed his embrace of Christianity in every text he sent, while at the same time announcing to all whose path he crossed that he not only would use violence to protect his personal property, but that he expected somebody to try to take it. What a dark, frightened, and violent way to look at the world. These views, expressed on my driveway by a frightened but well-armed scrap-dealer/militia member, or acted upon by the vicious nerds, gun fetishists, racists and thugs in Charlottesville, and described as moral equivalents to the views held by those who believe in justice, equality, and that black lives do matter by our babbling President, are of course nothing new in American history. We have seen this before. Too many times over too many years. Nearly all of us who study this nation’s history for a living, I suspect, were shocked, angered and dismayed, but we were not surprised. Sick and tired, but not surprised. 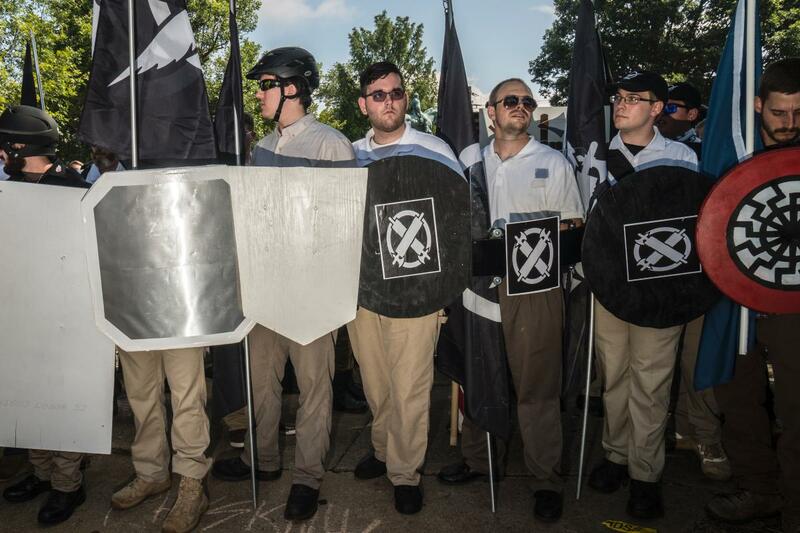 The racists and white supremacists appeared in Charlottesville, but they had never, every, really gone away. And that is a lesson, I believe, that must now inform my courses in Native American History even more than they have done in the past. Hatred and fear of a racialized other. It runs through the colonial period of American history. You cannot miss it if you look at the sources: from the treatment of native peoples by a frontier population intent on extracting a livelihood from ground seized from native peoples, to the slave owners, and the the lawmakers and legislators and founding fathers who regulated and policed the expropriation of native peoples’ lands and African peoples’ labor. As I make my way slowly through Robert Parkinson’s magisterial The Common Cause, the best book I have seen on the American Revolution in some time, it is abundantly clear how important a fostered hatred of warlike native peoples and rebellious African slaves was to give shape to the “common cause” for which American patriots fought during the Revolutionary war. Racism was there at the outset, fundamental to the formation of American national identity. 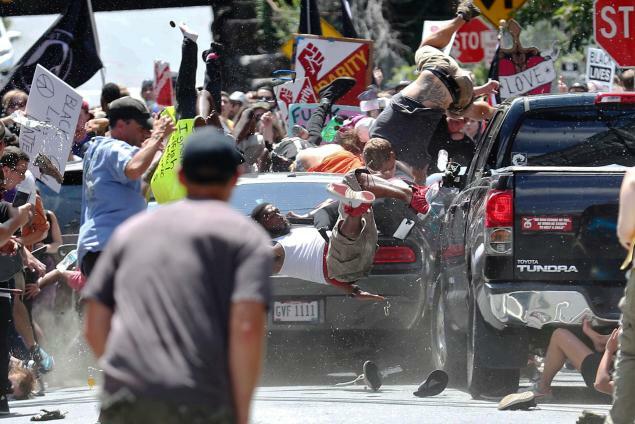 There have been, of course, many courageous people who have spoken out against this blight at the heart of the nation–some of them were mowed own by a white supremacist’s car on Saturday–and this heroic tradition is important. But to deny the centrality of its opposite–racial antipathy–is to fail to examine closely the entire content of our nation’s character. Three times more Africans migrated to the English American colonies than white people between 1630 and 1780. Slavery was fundamental to the settlement and growth of the Anglo-American empire. That dynamic and expansive process of enslavement, as historians like Brett Rushforth, Alan Gallay, Linford Fisher, Christina Snyder and many others have recently shown, ensnared many native peoples, too. Slavery was central. So was the systematic and organized dispossession of native peoples. I have tried to write about all of this in the second edition of Native America. “This was all in the past,” you might say. That is what Attorney General Jeff Sessions seems to think. 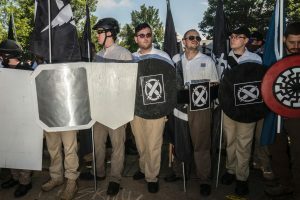 The President, too, ever-ready with insult and slur, has proven himself time and again incapable of denouncing the white supremacists who believe strongly that he endorses their views. This all is heartbreaking, you might say. You might say that what we are seeing in Charlottesville is inconsistent with who we are as a nation. You may respond to the news by tweeting out a message of hope or inspiration under the hashtag #thisisnotus. That is naive. Dispossession. Discrimination. Police forces, armed and militarized to the hilt, locked and loaded to protect the lives, liberties, and property of white people from what they perceive as the threat posed by people of color, slay African Americans and Native Americans largely without fear of the consequences. 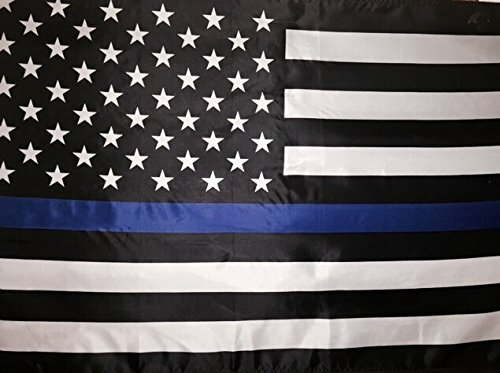 I have seen an increasing number of “Police Lives Matter” flags in the Rochester area, and “Blue Line” American flags. 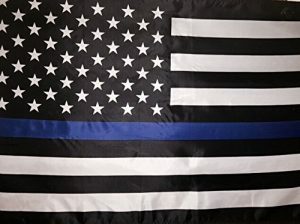 I see on the news stories about how a Canandaigua woman quickly sold out of the shirts and signs she printed proclaiming that “I Support the Police,” or something like that. It’s a tough job. I get that. If you cannot do it without fearing or discriminating or murdering people of color, please for the sake of humanity do something else. Is it worse than it has been in the past? We have talked about this as a family. We live in a small suburb of Rochester, a faculty ghetto of sorts where most residents like to think of themselves as tolerant and open to diversity. My wife, whose skin is dark, is pulled over frequently by our local police; in nineteen years living here, I have never been pulled over. It has been bad in the past. There is no denying that. But it is bad now, and it is getting worse even in the short time since the last election. For too many white Americans, black lives do not matter. Native lives, for too many of them, matter not at all. Too many white people view programs like affirmative action, intended to address past systematic injustices, as a threat. And the people who hold these views? They know the president has their back. I would like to think that we historians can make a difference, however small, by discussing this history in our classes. I do not see how one can understand American history in its complexity without doing so. Few people read our work, I know. But if we are to be effective educators, we must reach out. We must have faith in the power of knowledge and reason and dialogue and debate. We must write and teach with the urgency that comes from knowing that our words matter. And in African-American History, or Native American history, we have the opportunity to explore the structural inequalities and profound injustices that have always rested at the core of this nation’s story. We must be straight with our students. Most of my colleagues are already doing this, but the urgency for doing this is growing. Cast away the comforting myths. It is not our job to instill love of country, patriotism or civics. We must counter this argument every chance we get. Leave that to the hacks and the partisans, the liars and the myth-makers and the members of the PTA. We must defend what we do. We must be honest. Look the evil in the eye. Expose it to the light of day. Name the evil, and show our students where it has manifested itself in the past, and the many forms it can take, the contortions and distortions it demands and justifies. We will take some heat in doing this. The dingbats and the right-wingers and some of the most conservative evangelicals and others will say that we are not doing our jobs, that we must stick to the facts. And we cannot take these foolish charges sitting down. We must challenge those who denounce what we are doing with the meaningless and stupid epithet, “politically correct.” Debate these people. Call them out, politely, professionally, but persistently. Only by standing tall can we help to inspire in our students the courage to speak out, to ask tough questions, and demand reasoned and relevant answers. Only by doing so can we, in some small way, encourage them to confront and to resist the rottenness that has plagued this nation for far too long. Well said. Carry on. You are the first line of defense in all this. I do believe each generation is better than the last in this regard and it is entirely to the credit of teachers, scholars and researchers. You too are under assault now as members of the “elite.” This targeted erosion of trust in our educational system, along with a concerted attack on the fourth estate is one of my biggest concerns. I agree, Marc. Thanks for sharing your thoughts. Hope you and yours are well. It has been a long time. Thank you for this powerful and thoroughly convincing Jeremiad. Your analysis is correct. This is what historians need to say to our citizens, in this troubling, racist era–which as you point out is hardly a case of historical exceptionalism. Keep standing tall and inspiring our students to question, to speak out, and to understand. It is tough sometimes but, to quote The Who, “the kids are all right.” Presidents like you made doing this sort of work easy. Hope you are enjoying your retirement, Chris. It is good to hear from you. All the best. Thank you for this inspiring post. Geneseo is so fortunate to have you. I have nothing substantive to add, but just want you to know how much your voice is appreciated by someone who is struggling right now to see hope in the future of this country.